From the quiet hills of Barnet down to the vibrant streets of Camden, North London is home to some of the best places to live to maximise your quality of life. This area north of the river has some great places to live and explore. From grand buildings such as Alexandra Palace and the Emirates Stadium to some of London’s hidden gardens and infamous markets. There are plenty of things to do and reasons to live in North London, So what are you waiting for? Jump on the Northern Line! We all love to be out and about, but at the end of the night an easy ride home is just as important. Well, North London has you covered. Yep...North London has by far the best transport links, with the Northern and Piccadilly lines running straight into Central and now 24 hours! Not to mention the over ground and night buses! Fun Fact: Did you know...? We even had the first ever cable car in Europe, between 1884 and 1909 to take north Londoners up the hill from Archway to Highgate… I don’t recall South London ever having that…Did I mention the ease of access to the M25 and A406? Just knowing how easy it is to go out in North London, makes us North Londoners more inclined to live in the moment! – Going out in the evenings and weekends having a great time. Just hop on the train…it’s time to party! Some of London’s best gardens and open spaces are located in North London. Alexandra Palace boasts 196 acres of park containing a delightful mixture of informal woodland, open grassland, formal gardens and attractions such as the boating lake, cafes and the pitch-and-putt golf course. Then, if you feel like dancing away at a festival, look no further than Finsbury Park home to the Wireless Festival for the last 3 years and many more music festivals. Or if you rather play a round of golf, Oakwood is home to Trent Park Golf Course where you can unwind playing the 18 whole course or driving range. Whether you fancy a quiet drink or an extravagant meal, North London has a lot to offer, Southgate high street is teaming with independent restaurants and pubs such as the ever so popular Fantozzi where you can enjoy a hearty Italian meal and thirst quenching beverages. Or if you feel like traveling further north, Cockfosters is a great place have brunch on a Sunday afternoon at the family run Middeys or Miracles cafes, but make sure you pre-book to avoid the inevitable queues. Looking for something a bit more exciting? Finchley Lido has lots to offer. Hollywood Bowl, arcades, cinema, restaurants and even a leisure centre for the gym go-ers. So when looking at your quality of life North London has it all! There is so much more to see and do and we have not even touched on the many exceptional schools both public and private that we have to offer. 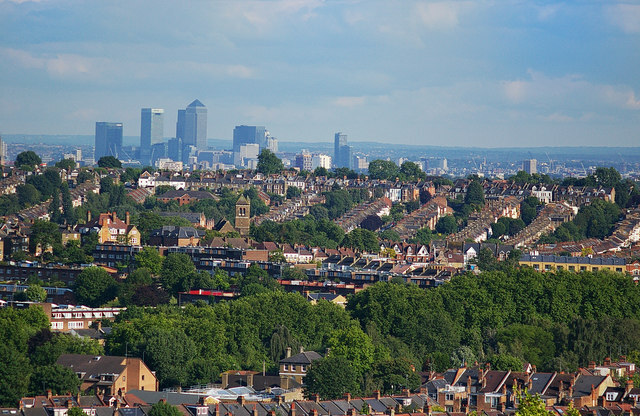 Each area of North London has a different vibe and very distinct characteristics that will appeal to different types of people. Martyn Gerrard Estate Agents have been living and working in North London for over 50 years and we are proud to say we know these streets quite well. So if you are looking to move into North London or are looking to take on take on your next adventure in property whether it be a first home, growing family, upsizing or downsizing we have the knowledge and the expertise to help you find the area and the property that’s best for you to maximise your quality of life.